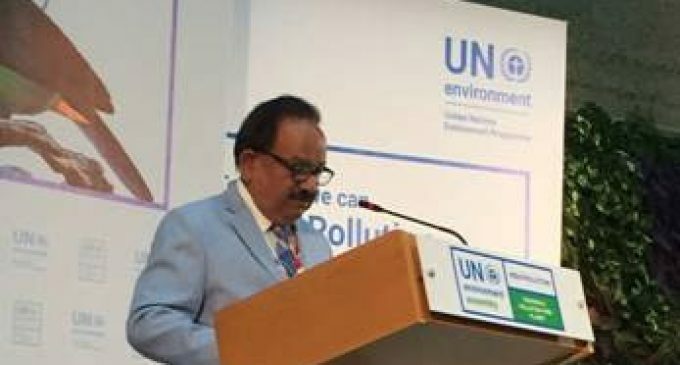 Katowice (Poland), Dec 3 (IANS) Indian Environment Minister Harsh Vardhan on Monday said the high level of greenhouse gas emission was a major concern and reaffirmed that India would play a “positive, constructive and balanced role” in the UN climate summit. “Our focus is on shifting to renewables,” Vardhan told reporters on the sidelines of the two-week-long UN climate negotiations, known as COP24, that saw governments and delegates from nearly 200 countries in this Polish city. The talks officially began on Monday with the opening address of UN Secretary-General Antonio Guterres. Responding to a question on clean coal, the minister said: “We have an ambitious target of 175GW. We use super critical technology which has comparatively less emissions. “We have also announced stringent emission standards and we are retrofitting existing coal plants with the latest technology. The ones that can’t be upgraded are being shutdown. Close to 52GW of old plants have been shutdown till date,” Vardhan said. He added that India wanted to see the UN climate summit as a success. Ahead of India’s second Biennial update report, which was earlier scheduled to be released by Vardhan at the UN Framework Convention on Climate Change or COP24 on Monday, a projection on India’s progress by US-based The Institute for Energy Economics and Financial Analysis (IEEFA) said India was “on track to achieve the majority of its Paris agreement goals”. The Paris agreement urged each country outline, update and communicate their post-2020 climate actions, known as nationally determined contributions (NDCs), reflecting the country’s ambition for reducing emissions, taking into account its domestic circumstances and capabilities. India’s progress on two of its three Paris agreement commitments were to achieve 40 per cent of electric power installed capacity from non-fossil fuel by 2030 and to reduce the emissions intensity of its GDP by 33-35 per cent by 2030 from the 2005 level. IEEFA found that India was likely to achieve these two goals 10 years before the 2030 deadline. For the first goal, IEEFA predicted that installed non-fossil fuel capacity in India will exceed 40 per cent by the end of 2019. And at the current rate of two per cent reduction per year in emission intensity of its GDP, India is likely to achieve 33-35 per cent of emission intensity reduction targets a decade ahead of target. “We believe we will achieve these goals much before 2022,” he said. On the forest cover, Vardhan admitted India was slow. He said India wanted to see COP24 to be successful and added that New Delhi would play a “positive, constructive and balanced role” in the summit. 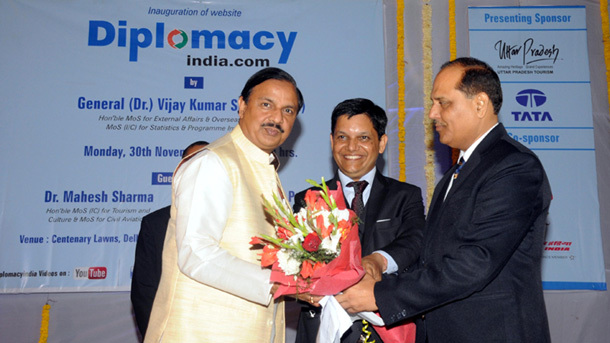 Earlier, Vardhan inaugurated an India pavilion along with the Indian delegation. It will have around 20 sessions, covering issues related to sectors important for climate change adaptation and mitigation. “One World One Sun One Grid,” highlighted by Indian Prime Minister Narendra Modi during first assembly of International Solar Alliance on October 2, is the theme of India pavilion.